Although most sharks give birth to live young, a few lay oddly shaped eggs that occasionally wash up on beaches. 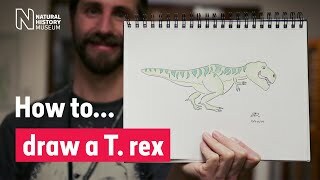 Learn how to create a cartoon T. rex. Plus find out how palaeoartists draw dinosaurs. 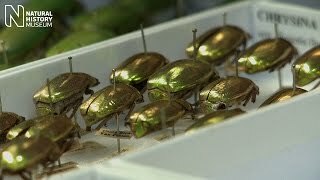 Go behind the scenes at the Museum and discover the huge variety of beetles and parasites in the collection. 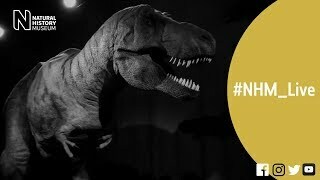 How did Tyrannosaurus rex use its arms? 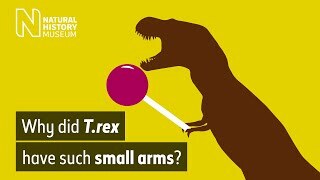 T. rex forelimbs were tiny but surprisingly muscular - so how were they used? 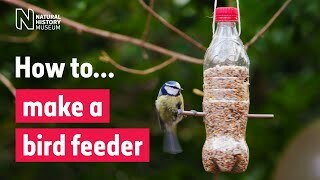 Follow our simple guide to building a bird feeder for your garden from a reused plastic bottle. How do polar bears stay warm? 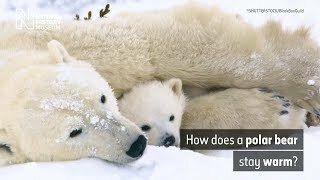 Discover how polar bears survive in the Arctic, even when temperatures fall far below -30°C. This month on #NHM_Live we're putting animal dating strategies to the test. 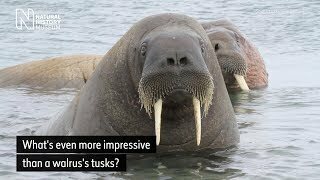 What is more impressive than a walrus's tusks? Walruses have a feature that stands out in size - and it's one that humans completely lack. 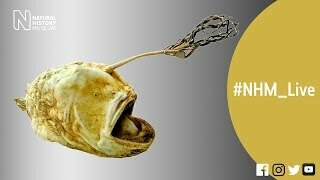 Meet some faces that only an ichthyologist could love and catch up on the latest natural history news. 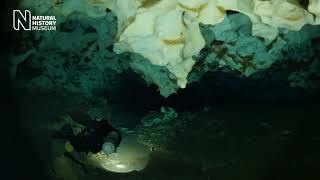 Cave divers are at the forefront of the search for life in the planet's deepest and darkest subterranean worlds. Find out what can happen when fieldwork doesn't go exactly as planned, and how to do a simple DIY science project at home. 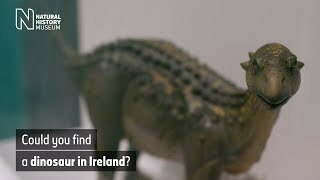 Can you find dinosaurs in Ireland? 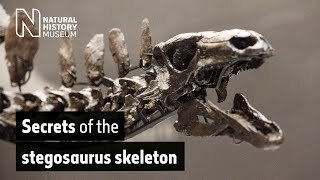 Why have so few dinosaur fossils been found in Ireland? It's all to do with the island's geological history. 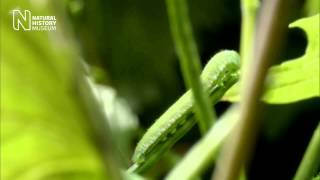 What nocturnal insects will you find where you live? 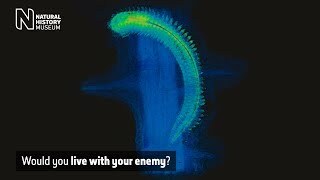 Why would a worm live with its enemy? 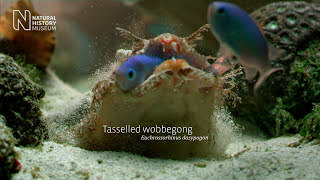 Deep in the ocean a species of worm is living life on the edge, making its home inside an animal that could eat it. 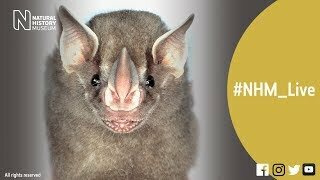 Museum experts catch us up on some of the latest natural history news. When resources run short, the sharp-beaked finches of Wolf Island turn into vampires to survive. They have blue blood, three hearts and a doughnut-shaped brain. But these aren't even the most unusual discoveries made about octopuses! Find out how these arboreal rodents use their whiskers to navigate at night. 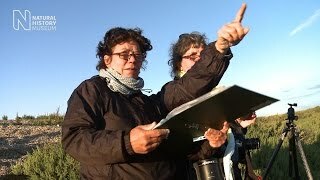 Join a bioblitz search for local wildlife in the ruins of Weoley Castle, Birmingham. 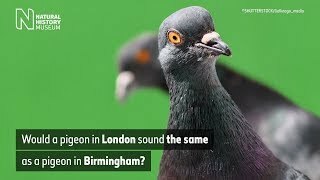 Would a pigeon in London sound the same as a pigeon in Birmingham? Museum scientists are travelling the globe to understand how frogs see the world. 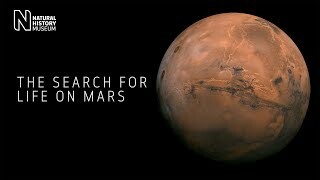 To help us tell fact from science fiction, scientists and engineers involved in the ExoMars 2020 program discuss the latest on the search for life on Mars. 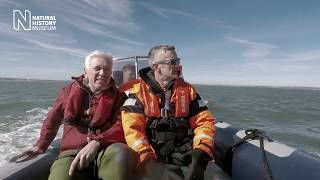 Join Dr Adrian Glover as he journeys to the site of a collapsed Antarctic ice shelf. Experience the awe-inspiring view from the ship deck. Who's afraid of the dark? Explore some of nature's most extreme sensory adaptations with leading scientists from the Museum. Watch for an exclusive peek behind the scenes at the Museum's Tank Room. 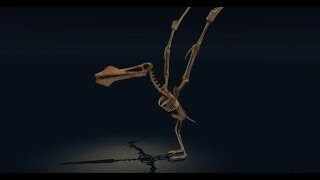 This animal is Anhanguera, a flying reptile that lived with the dinosaurs. Have a look at how it might have flown. 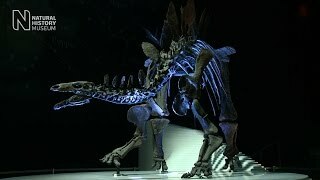 Watch a virtual Stegosaurus walk around as Sir David Attenborough explains how this dinosaur would have moved. 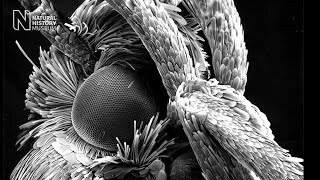 Why do some butterflies and moths have eyespots? 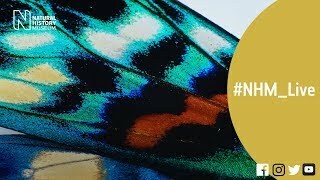 Discover how some species effectively use their colourful wings to deter predators. 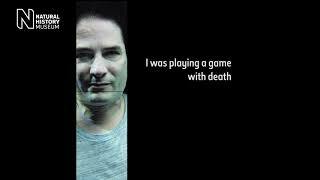 Steve Ludwin explains why he has been injecting himself with snake venom for decades. 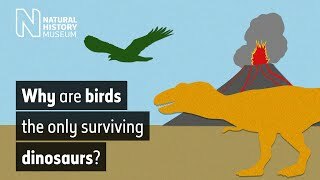 Why are birds the only surviving dinosaurs? Watch our animation to find out. 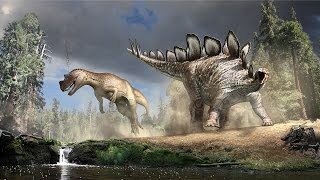 Watch four of our dinosaur experts battle it out for the top spot. Bees' pollinating prowess often overshadows many of the insects working just as hard as them. 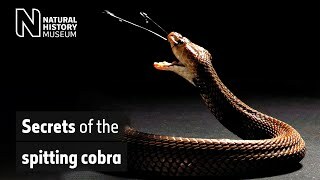 Have you ever seen a cobra spit venom in super slow motion? Read the story of the epic migration of the monarch butterfly. Meet the beetles that were unexpectedly found in Cambridgeshire, despite having been extinct in Britain for thousands of years. 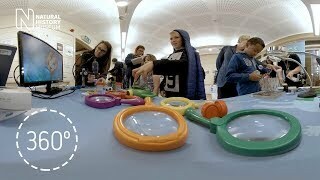 Go on a virtual fossil hunt along Charmouth Beach. Meet some of the animals whose search for a mate may actually be physically painful. 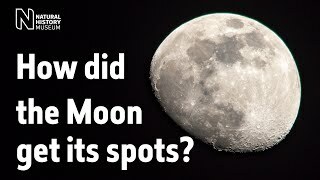 How did the Moon form? Before the Earth and Moon, there was a proto-Earth and Theia. 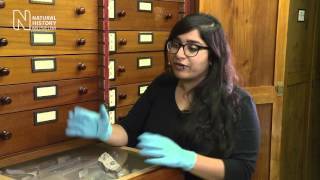 Museum planetary science researcher Prof Sara Russell explains the origins of Earth's closest companion. 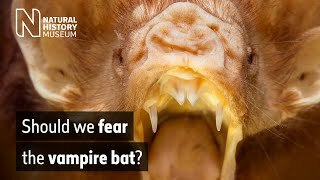 From bioluminescent lures to infrared abilities, meet some of the animals that have found ways to master life in the dark. How is a mouse like a giraffe? They may certainly look different, but mice and giraffes are more similar than you might think. 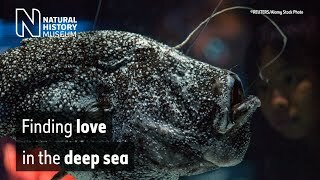 Oceans are crucial for life on Earth - but did it begin at a hydrothermal vent? 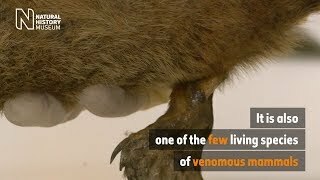 Watch Dr Ronald Jenner explore the venomous puzzle that the platypus poses. 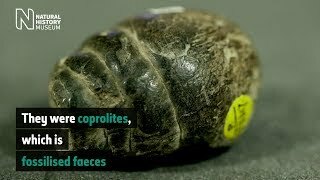 Fossil poo may not be a glamorous fossil find, but it can reveal a lot about prehistoric animals. 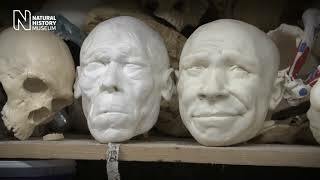 Discover the science and art involved in making the Museum's Neanderthal and early modern human models. 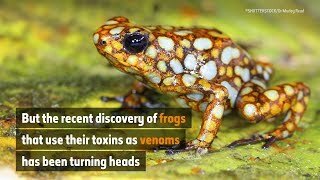 Meet the amphibians with an unusual defence tactic. 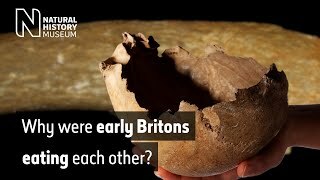 What did humans in Britain look like 10,000 years ago? 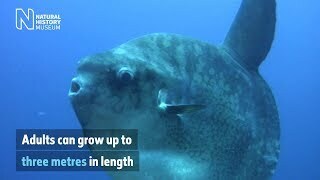 Find out what it takes to care for an enormous, scientifically irreplaceable fish. Dr Silvia Bello tells us about the gruesome yet fascinating behaviour of people living in a Somerset cave 14,700 years ago. 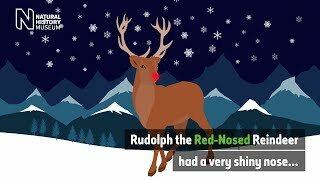 Why does Rudolph have a red nose? Erica McAlister hints at why the beloved reindeer may have a bright red nose. Lanternfish are one of many animals that light up the ocean with their glowing bodies. Go behind the scenes to find out what it takes put on a major exhibition at the Museum. 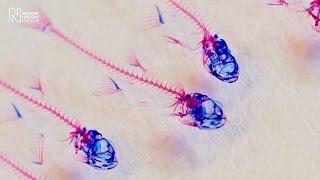 What is a parasitic isopod? Can you spot the extra eyes in this photo? 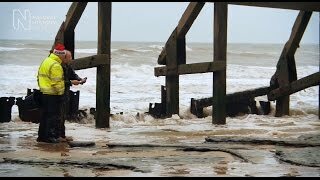 Scientists saved scientifically important slabs from an ammonite fossil bed after they were damaged by storms. Why do wasps build nests? Most social wasps aren't fussy when it comes to finding a spot to settle down. 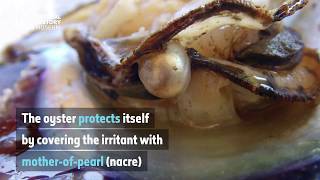 Watch Andreia Salvador, Curator of Marine Mollusca, take a look at one of the Museum's most extraordinary and precious pearls. 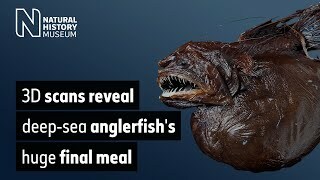 Sewage surfer is a stark reminder of the wide-reaching impact humans have on the planet, and particularly its small inhabitants. 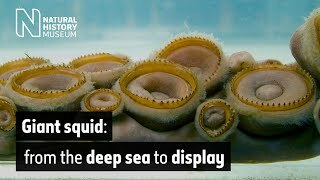 Watch a fish curator get up close and personal with one of the deep sea's most unusual partnerships. 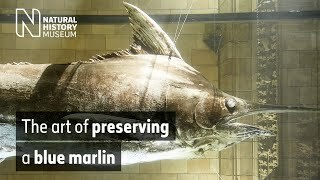 Find out how Museum scientists used a new technique to preserve this enormous blue marlin forever. Algae grew on Earth long before the dinosaurs first appeared - but climate change could bring an end to their long tenure. Join Museum scientists as they reflect on becoming part of this specimen's giant story. 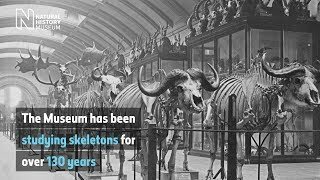 From touring spectacle to Museum star: hear the hidden history behind this ancient mammal skeleton. Rare drone footage could prove vital for research into the meals of the largest animals on the planet. 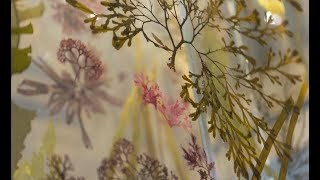 Professor Juliet Brodie explains why seaweed forests are so important to coastlines all over the world. 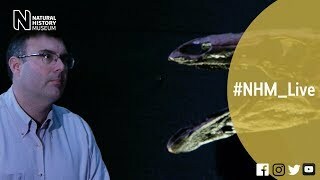 Find out about dinosaur discoveries from around the world with Museum expert Prof Paul Barrett. 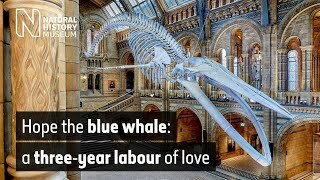 Trace the 126-year journey of the blue whale from the sea to Museum. 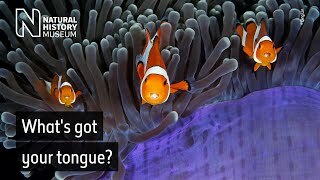 Why do whales sing? 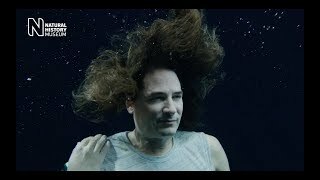 Scientists have only just begun to decipher the meaning of these underwater melodies. 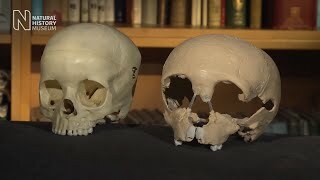 Bone detectives at the Museum are uncovering the secrets of life and death in London over 5,000 years. 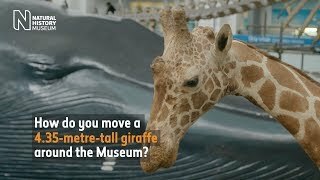 Go behind the scenes with Museum staff as they try to fit a taxidermy giraffe through some tight spaces. 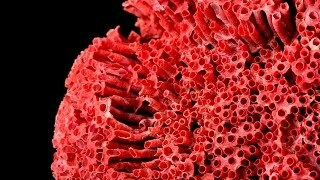 Glimpse some of the beautiful coral specimens in our collection and explore why coral diversity is important. 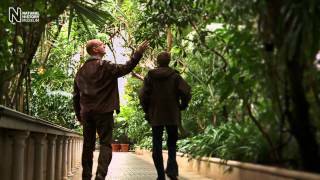 Find out how we prepare the tropical butterfly house and keep the hundreds of butterflies soaring. 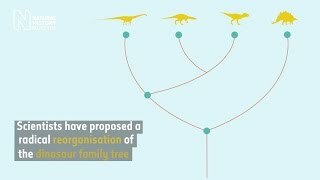 Dinosaurs have a new family tree. 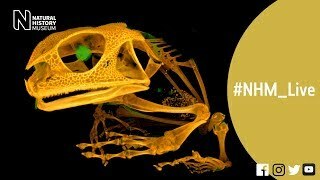 Find out how it has changed and what the new tree reveals about dinosaurs' origins and evolution. 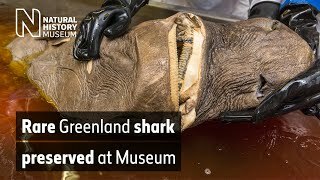 Discover how crumpled newspapers have turned a blue whale skeleton into a historical treasure trove. Moving a dinosaur is never easy. 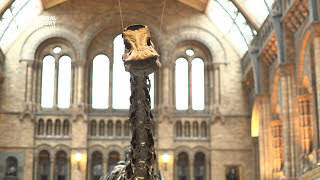 Watch as Museum conservators pack Dippy the Diplodocus into boxes, one bone at a time. Lorraine Cornish, Head of Conservation, prepares to dismante the Diplodocus skeleton. 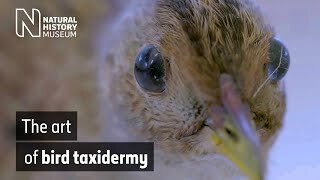 The art of taxidermy has become fashionable again in recent years. But it has always been scientifically useful. 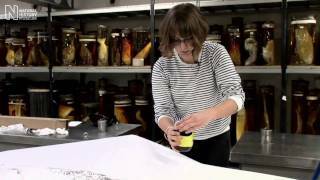 Bird curator Hein van Grouw demonstrates how it's done. 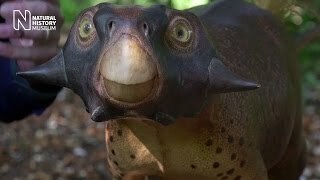 Find out how scientists and a palaeoartist created a life-size model of Psittacosaurus featuring real colour patterns, and what this revealed about the dinosaur's life. 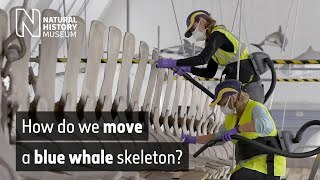 The conservators preparing the Museum's blue whale skeleton for its move into Hintze Hall have received a prize for their contribution to the public's understanding of conservation. 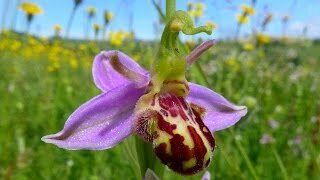 Beautiful British orchids: is climate change affecting them? 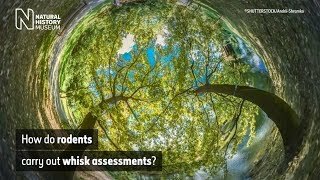 Dr Mark Spencer explains why it's important to find out. 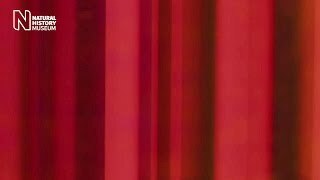 How do you feel when you see the colour red? Angry, amorous, energized? Why might that be? The Museum's giant squid specimen so inspired one visiting artist that she felt compelled to draw it. Life size. 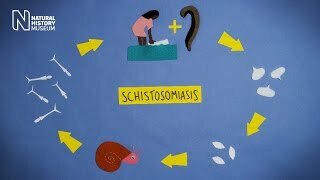 Follow the complex life cycle of this life-threatening parasite. 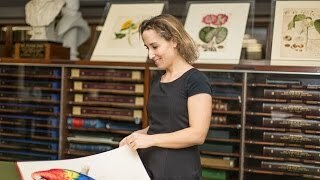 Library curator Andrea Hart talks about this collection of the Museum's most highly prized natural history literature. 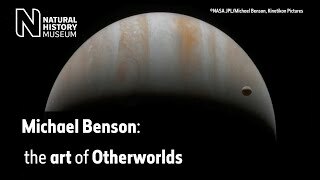 Otherworlds artist Michael Benson discusses his images of Saturn – 'one of the most extraordinary things ever seen in nature'. 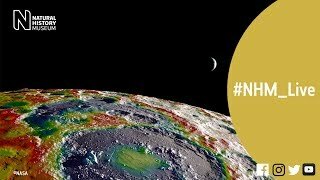 Discover how a surface mottled with dark patches reveals the moon's volcanic past. 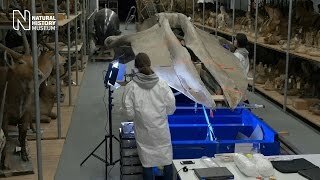 Watch as our blue whale is moved into storage and the conservators start their work. Learn how Iceland's volcanic terrain is shaping the way scientists explore the surface of Mars. 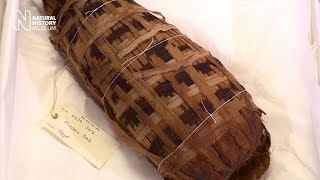 Step behind the scenes of the Museum’s spirit collection with curators Oliver Crimmen and James Maclaine. 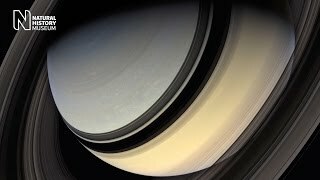 Learn how space exploration sheds light on the delicate beauty of life on Earth. Artist Michael Benson explores the 'alchemy' used to transform space agency data into colour images of our solar system. 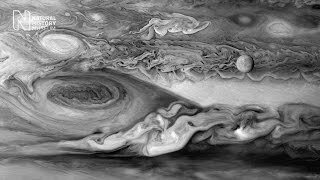 Artist Michael Benson explores one of his favourite images: the moon Europa photographed above Jupiter's Great Red Spot. Discover how a meteorite fragment in the Museum collection hid a secret about the origins of our solar system. Our DNA offers us the chance to look into our ancient past. Discover what six celebrities learned when they had their DNA analysed. 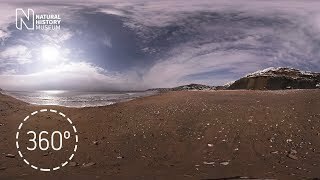 Follow the progress of a team of scientists as they realise they have uncovered human footprints that are around 900,000 years old. 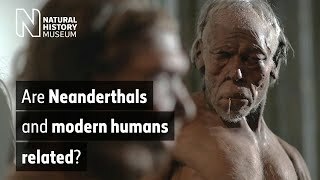 Many of us carry around two per cent Neanderthal DNA in our genes. 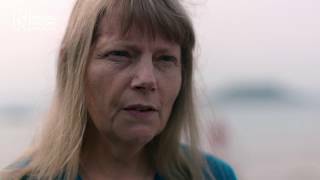 Prof Chris Stringer discusses why and what it means. 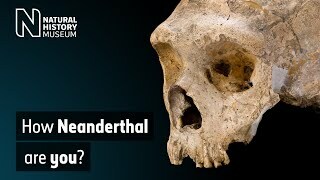 Prof Chris Stringer discusses a Museum fossil that helps explain why Neanderthals looked different to us. 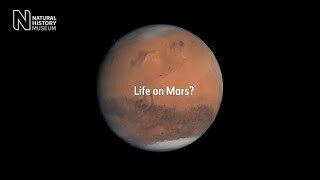 Could life have formed on Mars? Museum geologists investigate Iceland's volcanic landscape, and ask whether life could have formed under similar conditions on Mars. The rediscovery of early twentieth century photographs in the Museum collections has led to an innovative artistic collaboration. 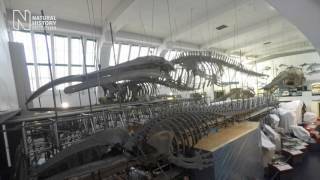 Go behind the scenes as the first bones are taken down from the blue whale skeleton. Watch the scaffolding rising around the blue whale skeleton as the Museum gears up for the move. 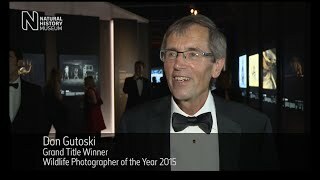 Don Gutoski of Canada was declared the Grand Title winner of Wildlife Photographer of the Year 2015. Spot the difference: butterfly or moth? 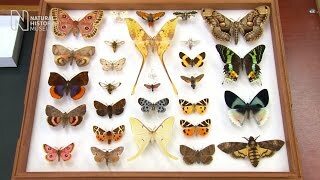 Step behind the scenes of our butterflies and moths collection for tips on how to tell the two apart. 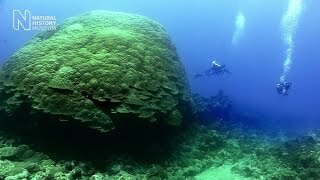 Follow the Catlin Seaview Survey team in American Samoa as they dive in search of Big Momma, the world's largest recorded coral. 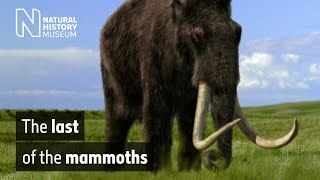 Were woolly mammoths a victim of hunting by humans or did their extinction have more to do with an apparent fondness for buttercups? 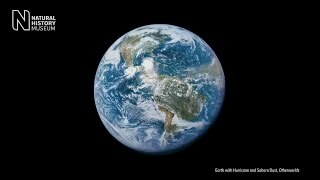 How do you name and categorise all life on Earth? 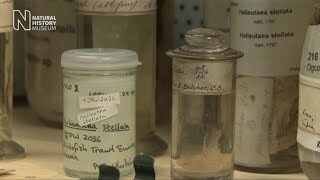 Curator Jon Ablett gives an insight into the crucial and never-ending work of taxonomists. Follow our researchers’ quest to identify the parasite-carrying culprit. 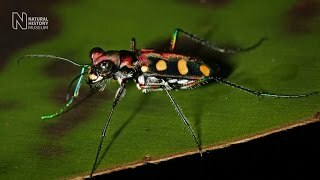 Meet some of the strange life forms that Museum scientists are uncovering in the peat swamps of southeast Asia. 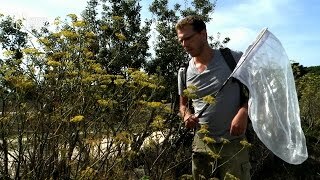 One fifth of the world's plant species are threatened with extinction. Museum scientists and collaborators discuss this shocking statistic. 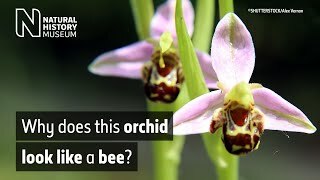 Discover the flowers that go to extraordinary lengths to attract insect pollinators. 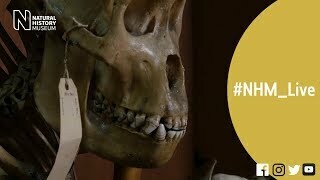 Find out how palaeoartist Robert Nicholls brought the Museum’s Stegosaurus specimen back to life. 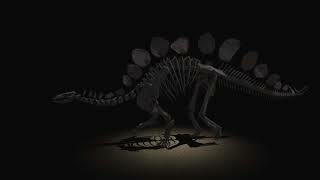 Discover Dacentrurus - one of the first stegosaur fossils to be found - which hides in plain sight in the Museum. 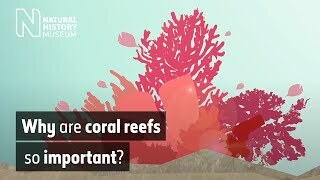 Why are coral reefs so important? Discover some of the huge benefits they provide humans and other life on Earth in our infographic video. 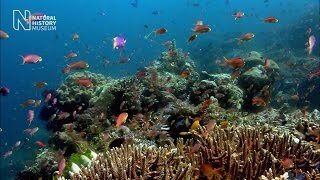 Coral reef research and conservation experts share their passion, hopes and fears for this underwater paradise. Curator Jon Ablett tells the tale of how an elusive monster from the deep came to be one of our popular attractions. 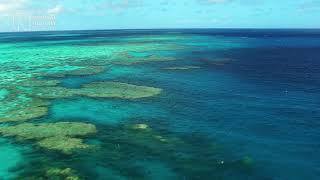 Caribbean reefs are among the most damaged in the world. Find out how young people in the Bahamas are taking action. 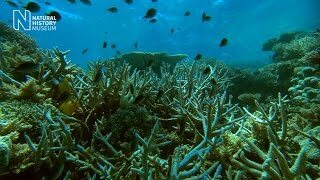 Witness one of nature's most elusive wonders - the synchronised mass spawning of corals. 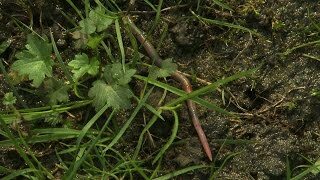 Museum scientist and champion of earthworms Emma Sherlock shares her passion for these vital invertebrates. 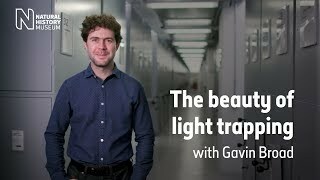 Digitising our collection is leading to breakthroughs in our understanding of the natural world. 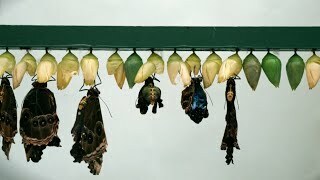 Witness the moment these delicate butterflies emerge from their chrysalises in a time-lapse video. 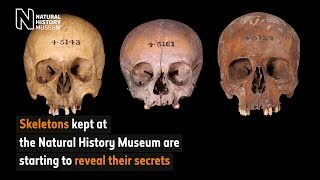 Join Museum scientists as they reveal a secret kept hidden for over 2,000 years. Glimpse the extraordinary lives of corals. 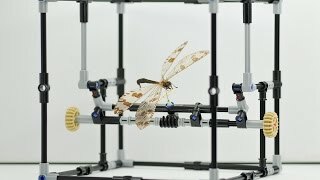 A creative tool devised by Museum scientists will make it far easier, quicker and cheaper to compare fragile specimens. Museum scientists travelled to the Isles of Scilly, Cornwall, to collect fresh specimens to improve our collections. 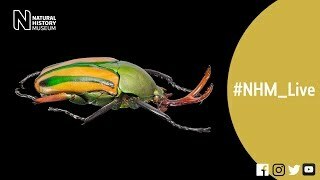 Join Museum scientists as they survey the incredible diversity of invertebrates living in the rainforests of Borneo. Get a behind-the-scenes look at the scientific examination of the world's most complete Stegosaurus specimen. 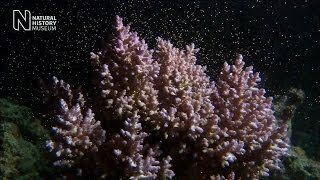 Staghorn survivors: the world's most successful coral? Layers of rock off the coast of southern England reveal surprising clues about the past and future of today’s coral reefs. 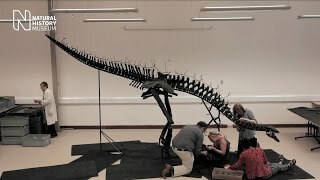 Watch a time-lapse video of the Museum's new Stegosaurus skeleton being put together. It has a hairy body, orange fan-like antennae and eats roots. Watch the video to find out more. 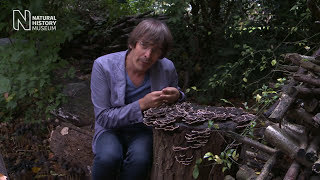 Fungi expert Mark Spencer reveals striking examples of fungi that flourish in towns and cities.